In enterprise servers and networks, Memory plays a particularly critical role in server reliability because all data flowing through the memory bus and If the memory doesn’t function properly, data corruption is possible, resulting in server downtime. CST engineers are always searching for better ways to improve the memory test system design to increase higher levels of memory reliability.CST's engineers have been designing a new test system to reduce the most common cause of server memory failure, Early Life Failure (ELF). By far the most common cause of failure of memory modules and other electronic components, ELF occurs within the first three months of normal use. 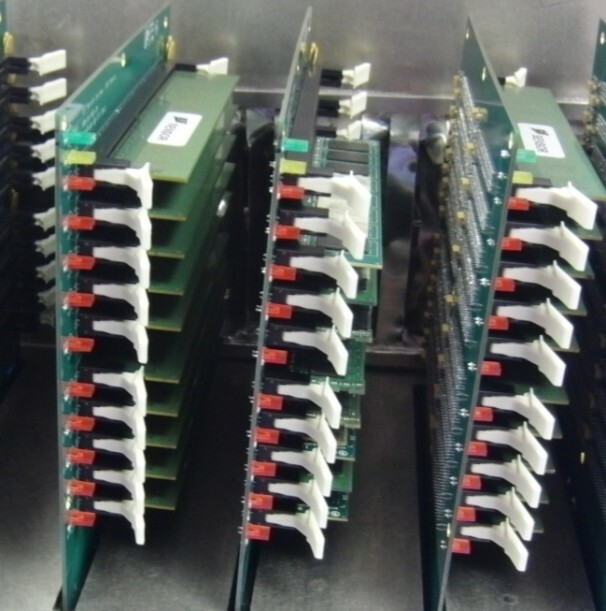 Once the memory modules are beyond the ELF period, failures are extremely rare. CST engineers have developed a burnin/ testing process that simulates the ELF period, thereby screening out potential ELF failures.This technical brief provides a detailed explanation of the burn-in/testing process. 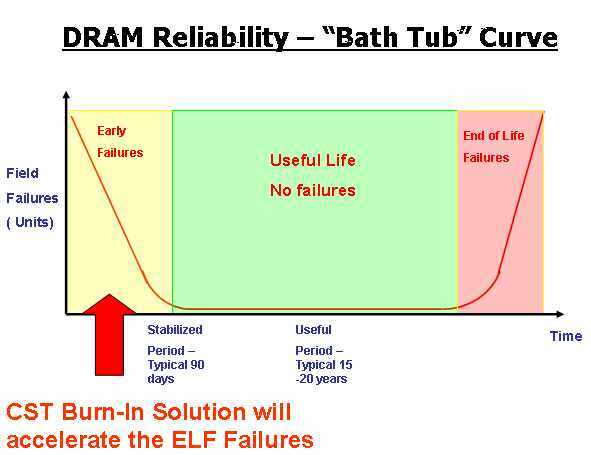 Dynamic & Static Memory chips, as well as all Non-volatile semiconductor devices, follow a particular reliability/failure pattern that is known as the Bathtub Curve (see below). The Bathtub Curve shows that a memory module that is destined to fail almost always fails during the first three months of operation. Once beyond the ELF period, module failures are extremely rare. in blue and is estimated to be 20+ years. period is shown in green. To solve the Early Life Failure problem, CST ’s engineers designed a proprietary the ABT-5000. simulate the ELF period with high temperature and exhaustive pattern testing to screen out potentially defective enterprice server memory modules. 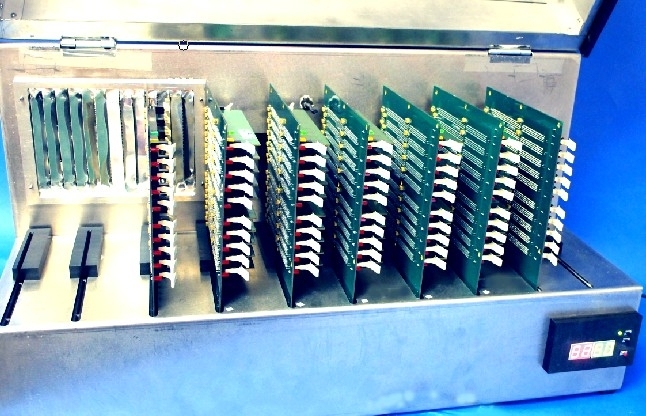 memory modules are tested for 12 hours at 120 Celsius and all DRAM cells of every DRAM chip are continuously exercised; this high level of stress testing has the effect of aging the modules by at least three months. CST began working with a US memory manufacturer on a six-month trial in which 100 percent of its server memory was tested in the ABT-5000. Test Results were closely monitored to measure the change in any chip failures. Within 6 month, after all the test data was compiled and analyzed, results showed that failures were reduced by 95 percent. The final test results exceeded our OEM customers expectations and the significant reduction in potential memory failures clearly benefits the end-users. Since memory plays such a critical role in server reliability, CST’s ABT-5000 burn-in process represents a significant leap towards achieving the ultimate in memory test system reliability. The ABT-5000 Burn-In System will support DDR3 RDIMM, DDR3 LRDIMM and DDR4 RDIMM with a change of enclosure base. 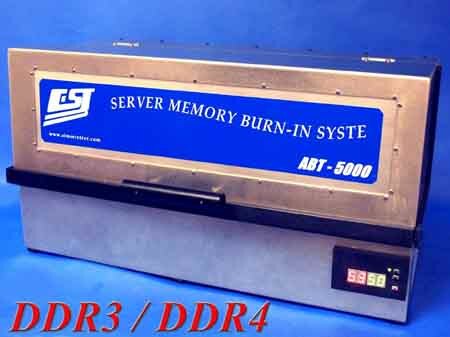 ABT-5000 can be modified to Burn-in DDR3 DRAM, DDR4 DRAM, Mobile DRAM such as LP-DDR2 , LP-DDR3 chips.